Today's class in online school engoo.com with teacher Ngonie, who is originally from Zimbabwe but live in the South Africa, was dedicated to Zimbabwe. Ngonie said that economic situation in Zimbabwe is really bad. The most population has a very low level of life, 90% people are unemployed. Zimbabwe’s new currency, introduced on Monday, is already losing value. Zimbabwe abandoned its own currency in 2008 and officially adopted the American currency as its own. Zimbabwe’s last doomed dollar saw inflation reach 500 billion percent. English is an official language in Zimbabwe. During our conversation I mentioned that earth in place in Russia where I live is covered by snow now. Ngonie commented that he newer saw snow in Zimbabwe. 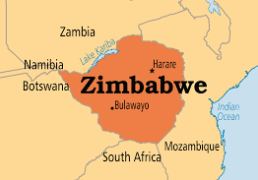 Zimbabwe is some kind of exotic destination for tourists and this fact makes exploring this country even more interesting.